Tiling a backsplash !!! 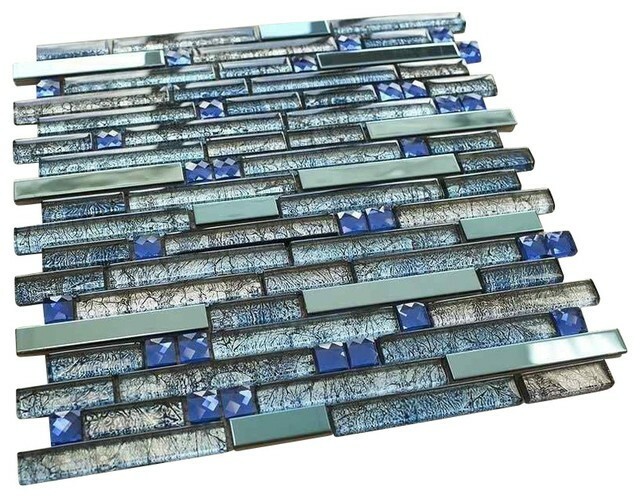 Newport Beyond Blue Random Strip ­­Glass and Metal Tile is a perfect tile to give a contemporary look to kitchen backsplash or bathroom wall. 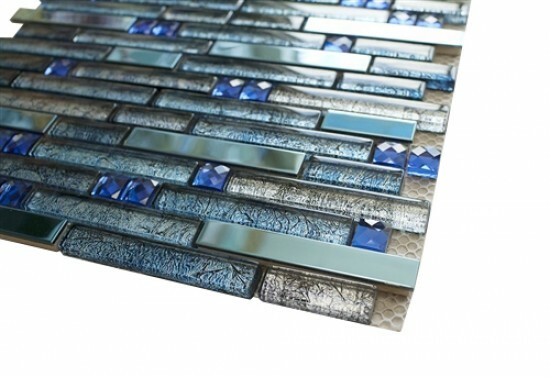 This glass and metal mosaic tile comes in a Linear Glass Tile Mosaic Design. 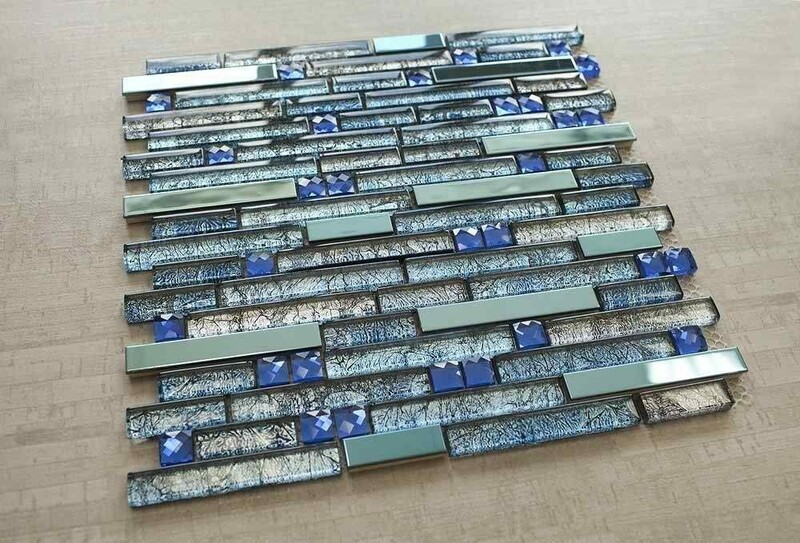 It is a mesh mounted tile therefore cutting glass and metal mosaic tile can be easily done with a household scissor. 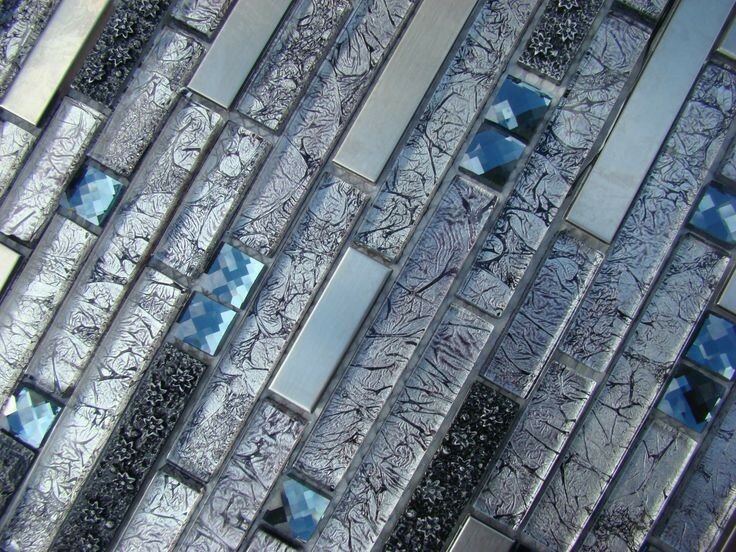 The tile can be used alone or as a gorgeous complement to ceramic and natural stone materials. 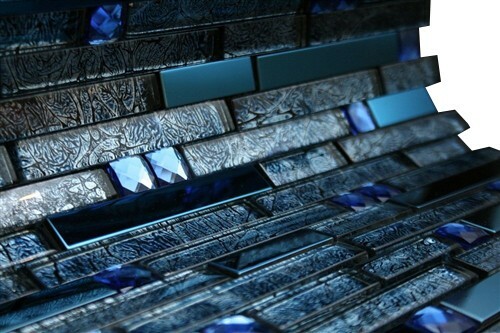 Purchase directly from Marble n things, the best mosaic tile company. Newark, NJ. Please call to make pick up appointments. Inspect all Mosaic Tiles before installation. After installation, vendor disclaims any liabilities.